How to Establish and Maintain Customer Success, cont. Last time I began to explore the goals Source has set to reach our objective of establishing and maintaining Customer Success. 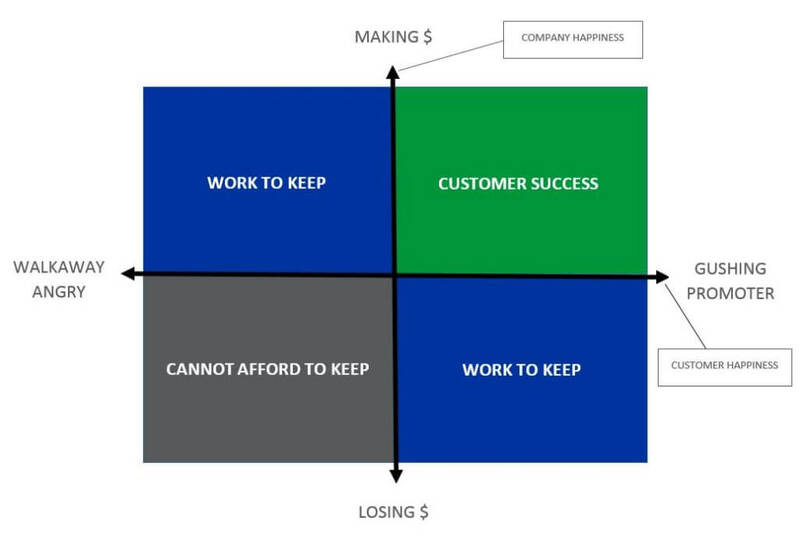 Looking at the model I established, these goals are meant to assist those customers who are in the blue “Work to Keep” quadrants move into the green “Customer Success” quadrant. Customers might be in the blue quadrants for various reasons – either they are unhappy and not benefiting from our working relationship or Source is unprofitable from the working relationship and therefore losing the ability to provide the highest quality service to that customer. As I discussed last time, our first two goals to help shift these “Work to Keep” customers over are to minimize customer turnover and maximize longevity and increase our solution footprint. 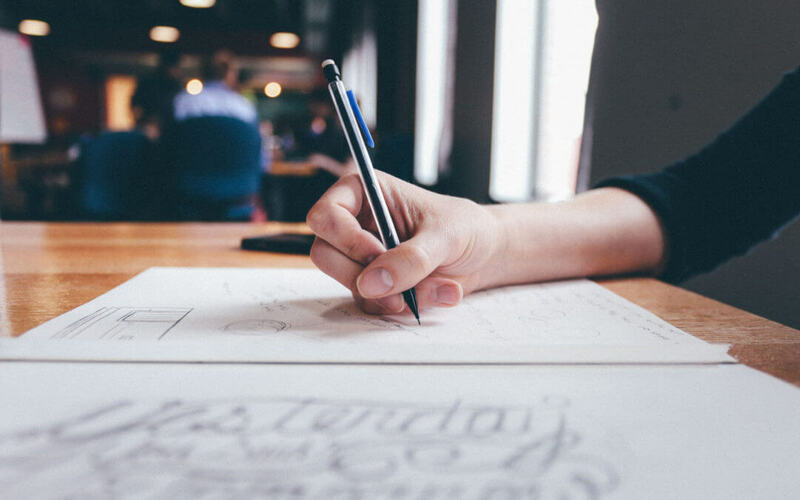 Both goals seek to set Source as a highly-valuable, trusted advisor to our customers so that they might profit from our expertise and insight. Our final two goals expand on this. First, we want to provide the best service possible so that our customers become advocates for our company. And second, because we realize that we should not be the only ones offering advice and feedback, we hope to develop a customer feedback loop. What’s the best way to sell our solution to the marketplace? What lends the most credibility to our amazing service claims? Nothing beats “gushing promoters” who actively endorse our solution & company because they are crazy happy about it. Doesn’t it make sense that our customer’s willingness to help us would be a solid indicator of their happiness? The third Customer Success goal then is to make our clients so happy that they become walking advertisements for our business. We want them to be bubbling references, peer promoting ninjas, and stout advocates for our company. How do we do this? By setting proper expectations with our partner and then meeting and exceeding them. This sets us apart from most companies and people on the planet. Do it for the most mundane of tasks and the big ones. Soon, credibility is established and a sense of camaraderie grows. Customer happiness follows and they will move toward gushing promoter. Our final goal extends the trusted advisor relationship discussed above. If Source is established as a trusted advisor, what prevents our customer from doing the same for us? The value comes when our customer can honestly tell us what is working, what is not, and why. The feedback could be about process issues, solution improvements, or whatever. This is gold! Listen, acknowledge what they are telling us, and ACT on it. The working relationship will reach a new level. Our customer becomes more vested in the experience and therefore more likely to stay. We want to be as valuable to our customers as possible by providing the highest-quality services and becoming a trusted advisor they can count on. To achieve Customer Success, we must work with our customers to create a working relationship that benefits both Source and our customers. And like any relationship, it is one that must be nurtured and supported. Join me next time as I close this series and discuss “LIVING” Customer Success rather than just “doing” Customer Success.